Where’s the history in this historical drama? Original run: Dec 21, 2014 – ??? 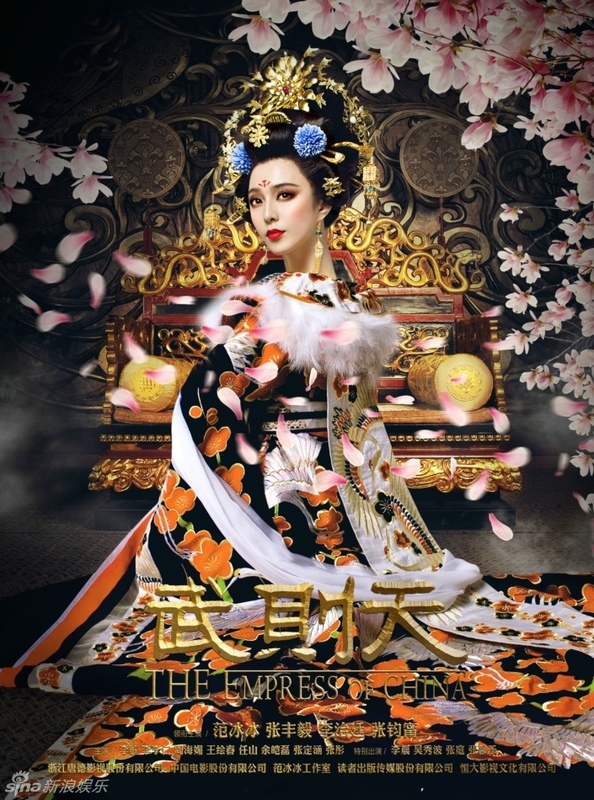 The famous Wu Ze Tian is the only woman to rise to the throne in all the history of China. How did she, a concubine who served two emperors, come to so much power? Her life is miraculous and incredible, but she is not without her fair share of plotting and scheming. Such is the life of the palace, especially for a woman. Watch her fall in love, navigate her life, and then decide the fate of others. While I was wondering why several episodes in and she is still in like the first year of her life in the palace I neglected to notice this is an 82 episode long series!!! I’m sure the script must cover every tiny detail of her life, and of course, making up a million others to fill in the gap. I’m already going ‘what the heck’ every two seconds because much of this is completely manufactured. I wonder what direction the story is going in – is it trying to paint Wu Ze Tian sympathetically as a girl who reluctantly grew to become cruel, or are they going to keep her innocence? Episodes seven and eight suggest that she’s beginning to learn the “rules of survival,” if you will, in the palace, so I supposed they are trying to give her a fuller backstory and more reasons as to why she became the way she did. In reality, she turns out to be quite awful, but that’s how one play the game back in those days (or maybe now too) – eat others or be eaten. 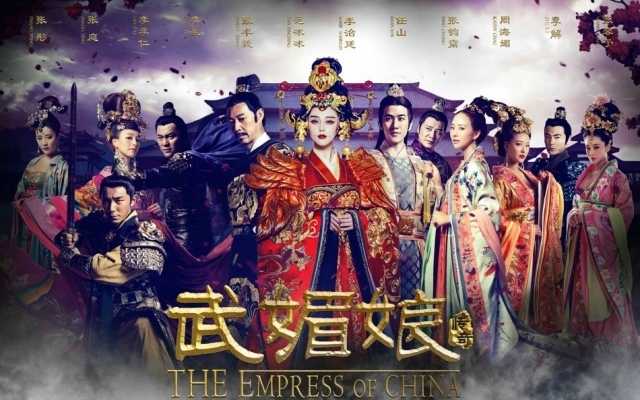 If you are willing to forgive all the historical trespasses or acknowledge that this is a “historical” drama mostly in name, then this is pretty good. The cinematography is quite excellent; the pictures are beautiful and smooth. With a budget of roughly 48 million USD it’s gotta be impressive or else it would be a total waste of all that dough. The costumes are also amazing, but again, very much fabricated (haha!). Even though Tang dynasty was notoriously liberal and free (ahem, if you know what I mean), they didn’t have such fanciful headdress and trains a mile long with dangling jewelry hanging everywhere. They may have been people who indulged themselves in luxury, but this is way too exaggerated. Then again, it makes for gorgeous pictures and it seems to be the trend for historical dramas for a long time coming. Gone are the days of keeping true to history books – in both script and costumes/settings. 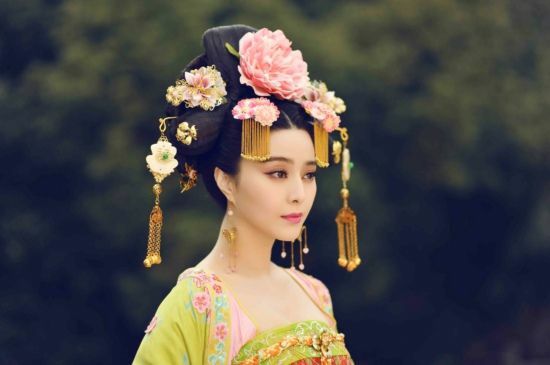 Fan Bingbing’s Wu Ze Tian (or Wu Ru Yi as per her supposed name – we don’t actually know her real name historically) is cute, adorable, naive and a rebel at heart. She doesn’t abide by the rules, but somehow must learn the game. I’m a little tired of this recent preference for “out of the ordinary” main character because it is not always appropriate, and when it’s overdone it can lose its charm. Just like when HZGG became popular there was a wave of clumsy bumbly leads (per Xiao Yan Zi), anything done too much becomes tiresome. There are also a few scenes here and there that gave me the ‘here we go again’ feeling (Bu Bu Jing Xin anyone?). Can we be more innovative please? is that a sword in her hair??? Despite its shortcomings, it still has a lot going for it, from the famous cast to the high budget production to the well written script. Overall, I would recommend it if you can sit through epic series of this monstrosity and if you LOVE cat fights because this is all about that. 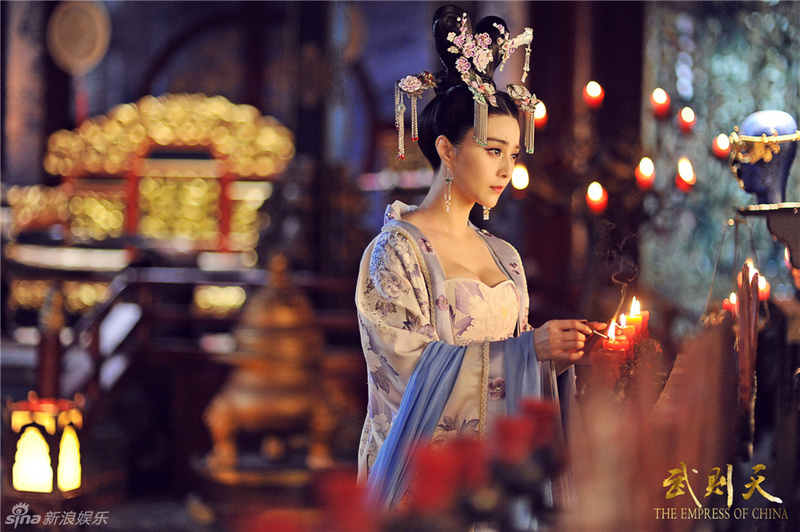 Fan Bingbing began her career as Jin Suo in the original HZGG (Return of the Princess Pearl). She is known for her participation in foreign films. In 2011 she was alongside David Carradine in his final performance in French film Stretch, and starred in Korean WWII film My Way with Japanese actor Joe Odagiri and Korean actor Jang Dong Gun. She also made small splashes in Hollywood blockbuster as Blink in X-Men: Days of Future Past earlier this year. Her role in Iron Man 3 was only for mainland audiences and was removed for worldwide release. Zhang Fengyi is an entertainment business veteran, best known for his role in 1993 classic Farewell to My Concubine. He also played the famous warlord Cao Cao in 2008-2009 film series Red Cliff. Aarif Rahman, also known as Aarif Lee, is a Cantopop singer and actor active in Hong Kong. His father is of Chinese, Malaysian, Arab ancestry, which is where he gets his name. He received a “Best New Performer” award at the 29th Hong Kong Film Awards in 2010 for his role in Echoes of the Rainbow. In 2011 he was arrested and fined for driving under the influence after a concert. Janine Chang was discovered by pure coincidence. A management intern had asked her to fill out a questionnaire on the street one day. A few months later this intern luckily became staff at the agency and immediately thought of Janine. She graduated from National Taipei University with a bachelor’s in law, and in 2010 received a master’s degree in Industrial Economics from National Central University. She starred in Best Time, another Tong Hua classic, in 2013 with Wallace Chung and Jia Nailiang. Hi! Just curious if you have ever watched Legend of Zhen Huan? @Skimmed Milk, no I have not seen Lengend of Zhen Huan, but I hear it is quite popular and will debut as a HBO miniseries soon! mural paintings and other depictions of Tang court ladies show elaborate hairdresses, although not quite as exaggerated as some worn in this drama. @ms, yup! That seems to be the trend now. Go big or go home right? Hi, will you recap this drama at all? I’m not planning on it since the English subs are already out, but mostly because it is really long!! !